The Puerto Princesa Airport is very small. You’ll grab your bags from a small conveyor belt and then be on your way out the door. Tricycles line up to take you into town. It’s a few kilometres walk into town. A tricycle at night will cost 50p total. A tricycle ride anywhere in town will cost you 8p/person during the day. 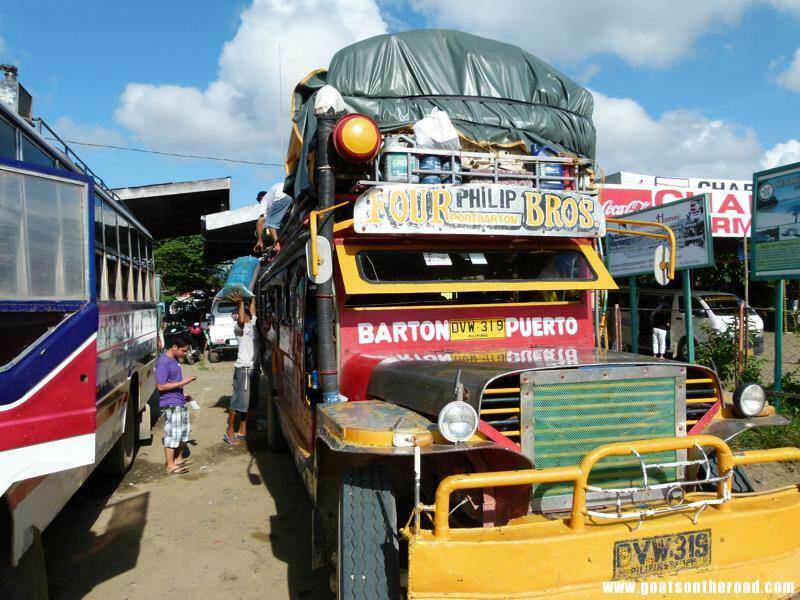 Minivans, jeepneys and buses to most destinations in Palawan depart from The San Jose Bus Terminal (New Market) which is 7kms outside of town. 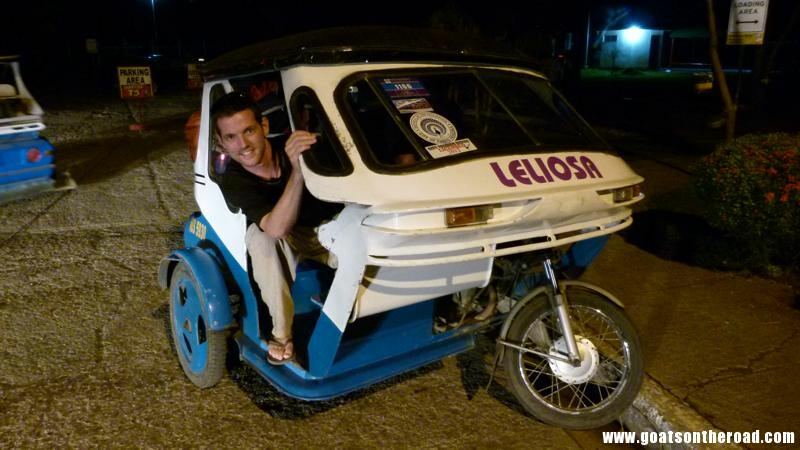 The cost of getting here from Puerto Princesa town is 50-70p total for a tricycle. 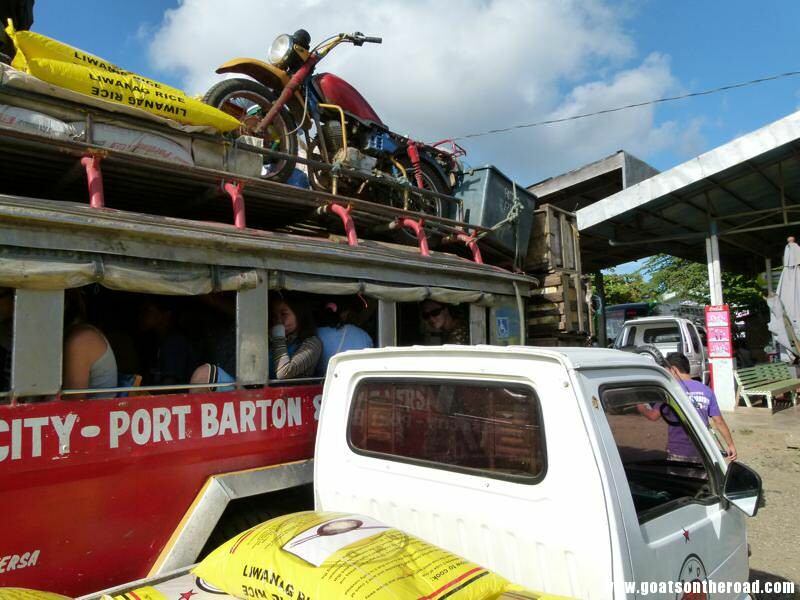 To get to Port Barton, take the once daily jeepney at 9:00am. The jeepney fills up fast so it’s best to try to arrange a reservation with your hotel (we didn’t do this and almost didn’t have a seat). Otherwise, show up at least one hour before departure. 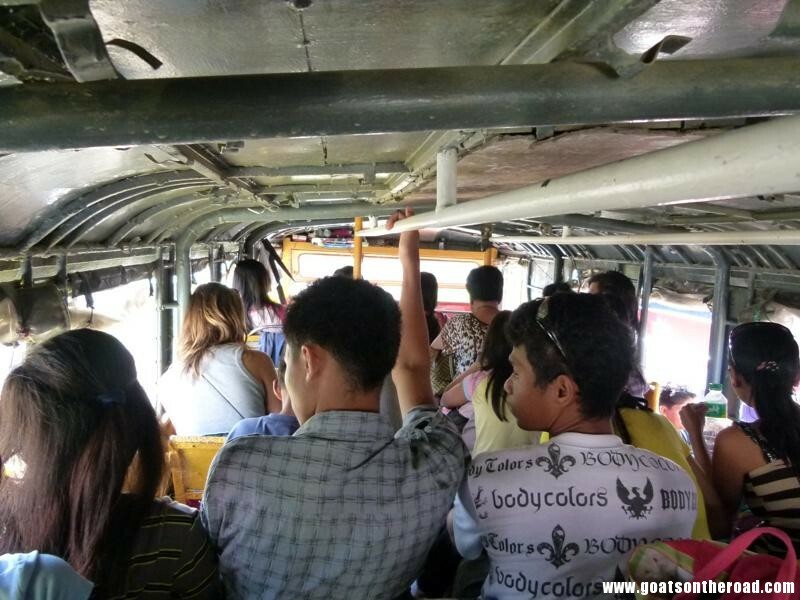 The jeepney costs 250p/person and takes about 3.5 hours, stopping once for a bathroom and food break.